How can you get your response? Lawrence, not clear what “your response” means. To this comment, or your previous one, we don’t respond to all comments but I did reply to your last one. Is there something else? How can you get assistant with your bplan if your income is limited? Lawrence, nobody who is capable of running a business is not also capable of developing a simple lean business plan. Planning a business doesn’t require professional writing or professional editing, or an MBA degree, or CPA certification; it requires only understanding enough about the business to set down strategy, tactics, milestones, metrics, and essential business numbers, as estimated guesses, opening guesses that you will review and revise often, in simple words and numbers that only you will read. And if you want assistance with that, you use the amazing wealth of free information and advice and how-to steps available to you on the web, and do it yourself. 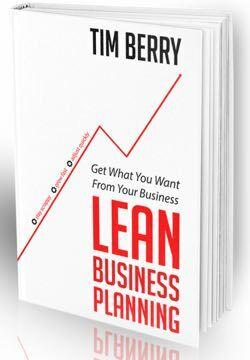 For example, I’ve posted the complete step-by-step guide to doing your own lean business plan, absolutely free, at leanplan.com. And the site where you are, now, reading this blog, bplans.com, has a huge store of sample business plans, and articles about how to do a business plan, and how to start a business, also all free. If, on the other hand, you ask how one can get assistance with your business plan if you can’t spend money to pay for people to do it, I say that the only free assistance I know of is SCORE in the United States. SCORE is about older people who volunteer to help people with business. The quality of help varies a lot, I’m afraid, because not all SCORE counselors know and understand business plans. And furthermore, we older people (me included) tend to forget, as we age, that our experience and knowledge are limited. We start to think we know everything, which is not a good quality in an advisor. Beyond that, I’d add, that your “if your income is limited” is not something unique to you, not a special handicap, not something that the world has to fix. 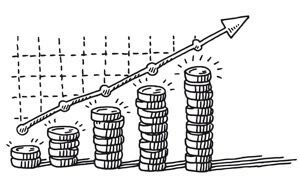 If assistance with your business plan costs money, that is because it is something you want somebody to do for you, that you could do yourself, and those other people will do for money, nor for public good. Join the real world of entrepreneurs. What you can’t afford to pay for, you do yourself, or do without.